The center is sponsoring several sessions of the “Starting a Business in Illinois” workshop between Aug. 13 and Jan. 14, 2016. Each two-hour informational workshop will cover key elements of starting a business, including start-up requirements, locating financing, legal structure, market research and planning, and business planning. There will also be a question and answer time. The $15 registration fee covers the cost of that workshop and a take-home Business Start-up Kit that includes: a business start-up checklist, presentation slides, a sample business plan, federal and state tax information and a financing question and answer packet. In addition, those who attend will have the opportunity to schedule appointments to work with certified business counselors who can assist them and answer their questions. Thursday, Aug. 13, 9-11 a.m., Dunn Richmond Economic Development Center, Room 150, 1740 Innovation Drive, Carbondale. Tuesday, Sept. 22, 1-3 p.m., Dunn Richmond Economic Development Center, Room 150, 1740 Innovation Drive, Carbondale. Wednesday, Oct. 21, 1-3 p.m., Marion Carnegie Library, 206 S. Market St., Marion. Friday, Nov. 13, 1-3 p.m., Dunn Richmond Economic Development Center, Room 150, 1740 Innovation Drive, Carbondale. Wednesday, Dec. 9, 9-11 a.m., Dunn Richmond Economic Development Center, Room 150, 1740 Innovation Drive, Carbondale. Thursday, Jan. 14, 2016, 5-7 p.m., Dunn Richmond Economic Development Center, Room 150, 1740 Innovation Drive, Carbondale. Pre-registration is required in order to attend. To sign up for one of the workshops, visit www.sbdc.siu.edu, call 618/536-2424, or email sbdc@siu.edu. 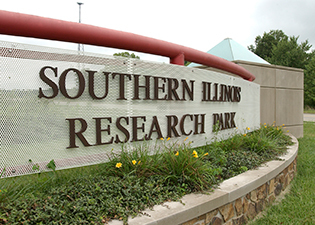 The Illinois Small Business Development Center/International Trade Center is funded in part through a cooperative agreement with the U.S. Small Business Administration and the Illinois Department of Commerce and Economic Opportunity and hosted by SIU. To learn more about the SBDC or the numerous services it provides to new or growing businesses, contact Robyn Laur Russell, director of business development and international trade, at rrussell@biz.siu.edu or by calling 618/536-2424.